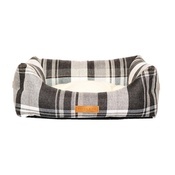 Treat your canine to this fabulous crash pad! 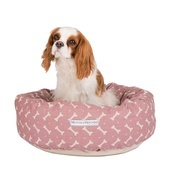 Made from high quality corduroy fabric, this bed will stand the test of time and provide your pup with many restful nights. 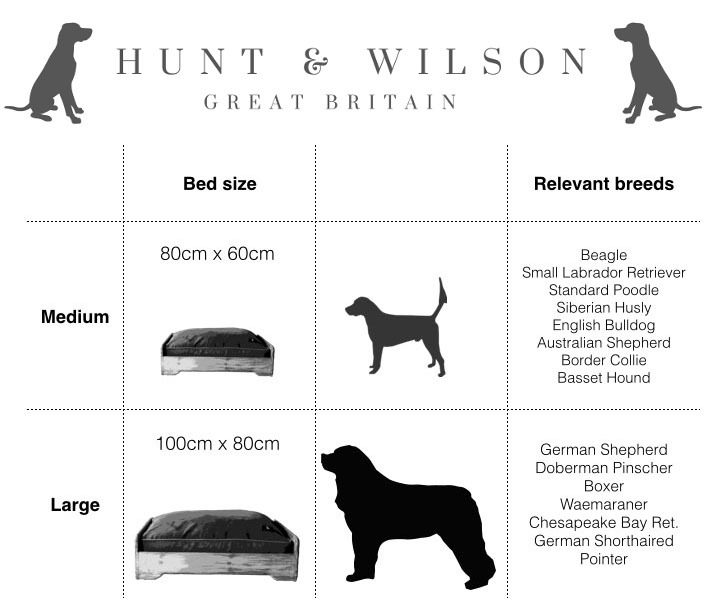 Designed by dog lovers for dog lovers, all Hunt & Wilson's beds offer style, comfort and performance – you're four-legged will never want to shop anywhere else! 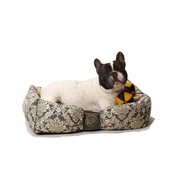 Luxury Corduroy Dog Bed – Wine. 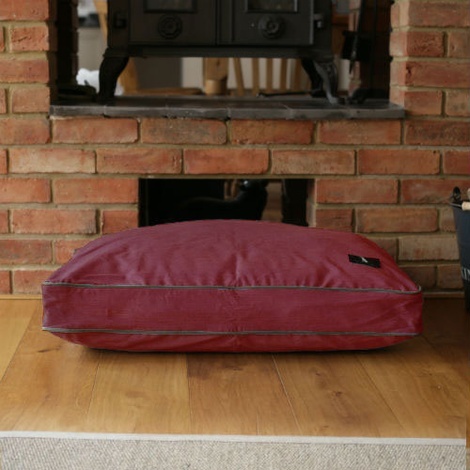 Made from quality corduroy fabric. 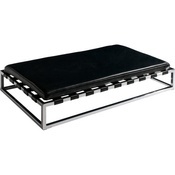 Features zip and removable inner cushion. 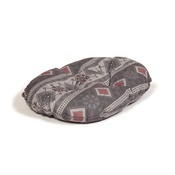 The inner cushion comes with a protective waterproof lining. 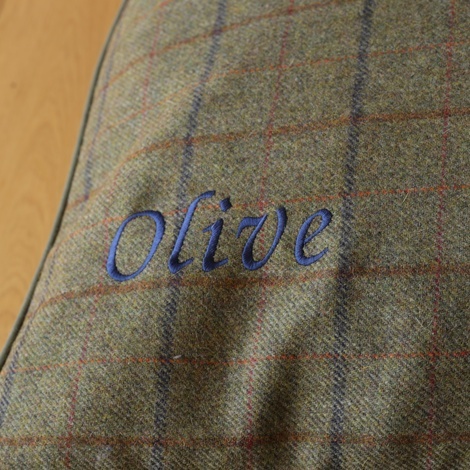 Option to embroider your pet's name or a chosen image. 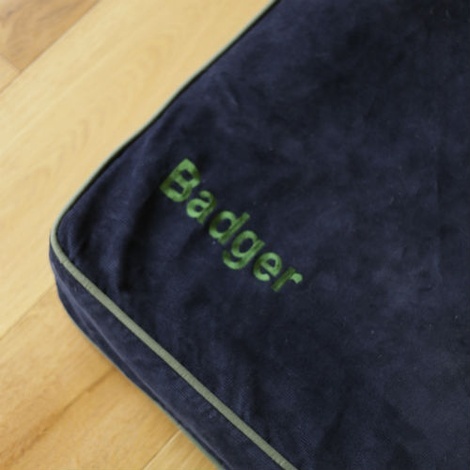 Medium 80 x 60 cm Suitable for Beagles, Small Labrador Retrievers, Standard Poodles, Siberian Huskies, English Bulldogs, Australian Shepherds, Border Collies and Basset Hounds. 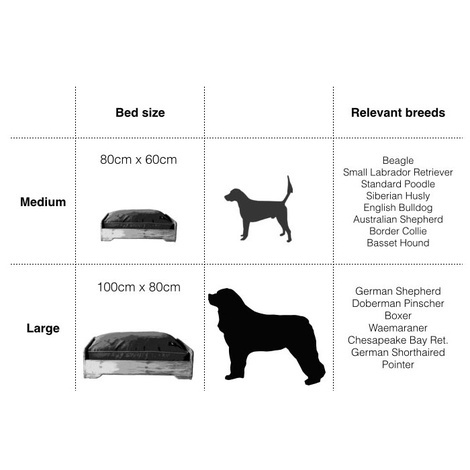 Large 100 x 80 cm Suitable for German Shepherds, Doberman Pinschers, Boxers, Weimaraners, Chesapeake Bay Retrievers and German Shorthaired Pointers.